Juniors Diaper Bag with Zip Closure | Multicolour | top zipper for quick access. 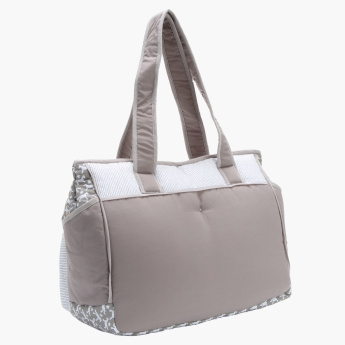 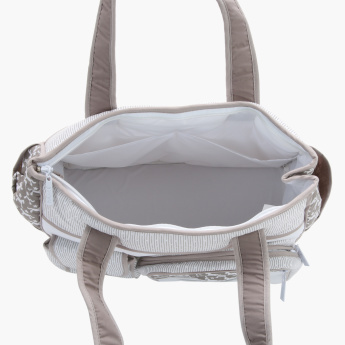 Grab this diaper bag to carry your child's things in one place hassle-free. 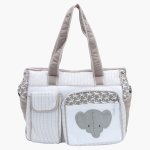 The side pockets can accommodate extra things and the strap makes it easy to carry. 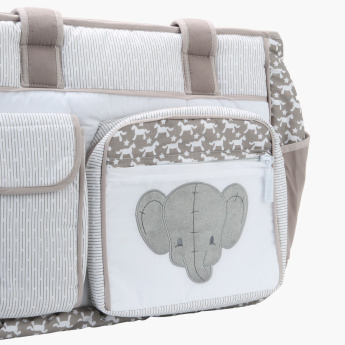 The elephant design looks striking.